Liz Enbysk, editor of Compassionate Cities for the Smart Cities Council, explainsseveral approaches that cities around the world are taking to reduce food waste and hunger. There are many approaches to reducing food waste and hunger underway around the world today – many involve technology, most involve compassion. So on the theory that one good idea often inspires another, here are some of the intriguing approaches we've come across. What's especially inspiring about the mobile app Robin Food is that it's the creation of four Malaysian teenagers ranging in age from 14 to 16. With its name a take-off of the "rob from the rich, give to the poor" Robin Hood legend, Robin Food enables supermarkets, hotels and the like to donate surplus food to food banks and other charities with a few taps on a smartphone app. Tesco Malaysia, the local arm of the global food giant, has signed on. "There isn’t much that technology can’t do these days," team member Allegra Chan told AsianCorrespondent.com. "People are beginning to realize that it can be put to good use in aiding the needy," she said. In the Netherlands, an app called NoFoodWasted has been helping grocers and shoppers save money and reduce the amount of food wasted in produce aisles, meat and fish counters, even canned goods shelves. The mobile app allows shoppers to see food nearing its "best before" date as they walk the aisle of participating supermarkets. They can also input shopping lists and receive an alert when items they need are discounted. Since its launch in 2014, Seeker.com reports that NoFoodWasted has 20,000 daily users in the Netherlands and has expanded from 11 to 175 supermarkets. And next up is an expansion into Germany, Belgium and the UK. "It feels like there's a vibe out there where people are interested in improving their behavior on food waste," app developer August de Vocht told Seeker. "But we know that it still can be difficult for them because you have to change the way you shop for groceries." It's not high-tech and it's been around a while, but Satisfeito – which means satisfied in Portuguese – is worth mentioning because it makes so much sense and could work anywhere. In this initiative by the Brazilian nonprofit Stop Hunger, participating restaurants offer smaller portions, indicated by an icon on the menu, but charge diners full price. The difference goes to organizations that work to curb child hunger and nutrition. "The amount of food wasted worldwide is outrageous," Satisfeito coordinator Marcos Szrajer told The Huffington Post. "And at the same time, we have people starving throughout the world. We have to fight this contradiction." Most of the 60 restaurants participating today are in the São Paulo area, but there are others sprinkled throughout Brazil and some in Mexico. The Huffington Post reports that since launching four years ago, Satisfeito has generated some $40,000 in donations. More people are becoming aware of the need to fight the contradiction Szrajer mentions above – so much food wasted in our world when so many go to bed hungry. But another compelling reason to take on food waste is the amount that ends up in landfills where it decomposes and produces methane gas – regarded as one of the most potent greenhouse gases contributing to global warming. An interesting effort to reduce the amount of food waste that ends up in landfills was announced earlier this month by AT&T, which will use its Internet of Things (IoT) solutions to help St. Louis, Missouri-based Emerson advance its Grind2Energy food waste recycling system. Grind2Energy was developed for large food waste generators — like supermarkets, hotels and sports arenas — interested in minimizing their environmental impact and maximizing their operational efficiency. As explained in an AT&T press release, the system quickly processes food scraps into a liquid 'slurry' that is pumped into an on-site holding tank. By adding AT&T IoT connectivity, the slurry will be remotely monitored by Emerson, then transported to local anaerobic digestion facilities. There, the harmful methane is captured in a controlled environment and converted to renewable energy — not released into the atmosphere. Liz Enbysk is editor of Compassionate Cities, an initiative of the Smart Cities Council that highlights how city leaders and other stakeholders can leverage smart technologies to end suffering in their communities and give all citizens a route out of poverty. 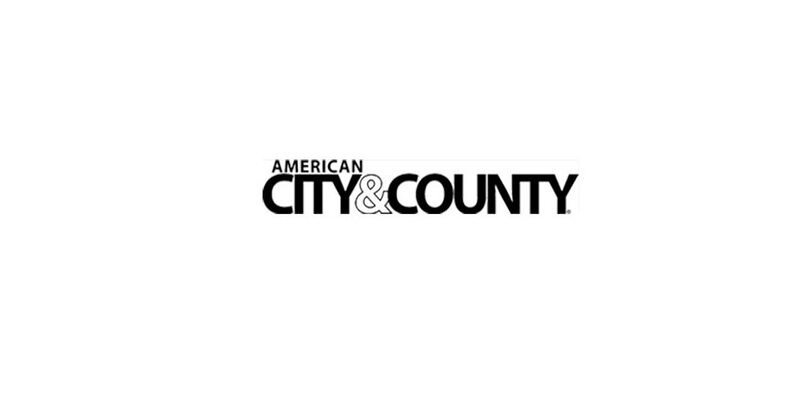 Sign up for American City & County’s newsletters to receive regular news and information updates about local governments. Learn from experts in the public and private sectors about best practices and how to optimize your government’s operations. Want to reach our digital and print audiences? Learn more here. © American City and County 2019. All rights reserved.